What are the essentials that one takes out in the field? Most birders would like to believe it’s just their binoculars and that’s it. Unfortunately, there’s a whole host of things that want to interfere with our enjoyment of the outdoors including mosquitos, poison ivy, and basic needs like hydration. Then there are books, cameras, journals, and water bottles that also seem like a great idea. In some ways, we are lucky that smartphones are helping out. I can have a bunch of field guides on my phone that help me identify birds, plants, and even animal skulls which saves on a bunch of space in my pockets and bags (though not so much in gigs on my phone). I can also take photos with my phone, get directions, and follow the weather. But you still need more in the field. 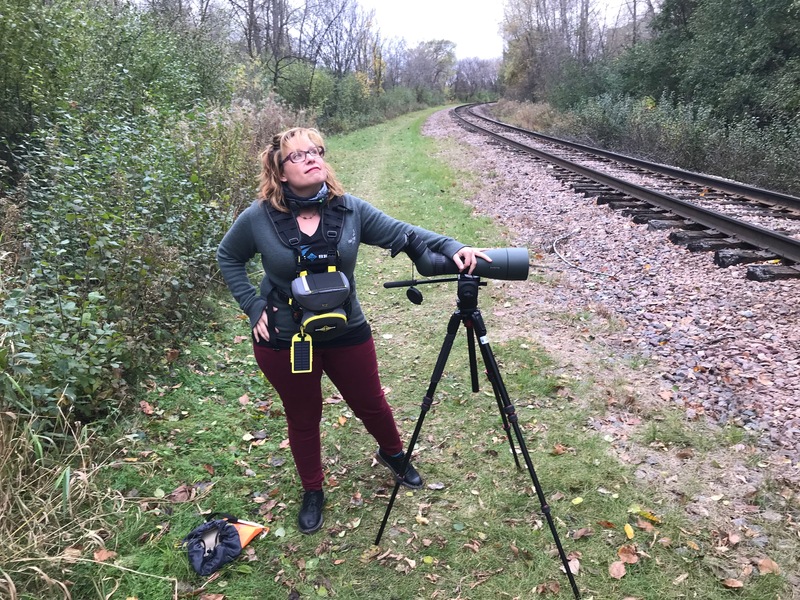 If it’s just me walking my local patch, I can go with my binoculars, iPhone in a Phone Skope case, and my Swarovski scope to enjoy nature for an hour and a half. If I’m leading a tour or doing field work, then I need to take a few more things just in case participants forget items like optics cleaner, insect repellent, hand warmers, band-aids, headache medicine, and most importantly…snacks. That’s when packs like the Bino Chest Pack some in handy. 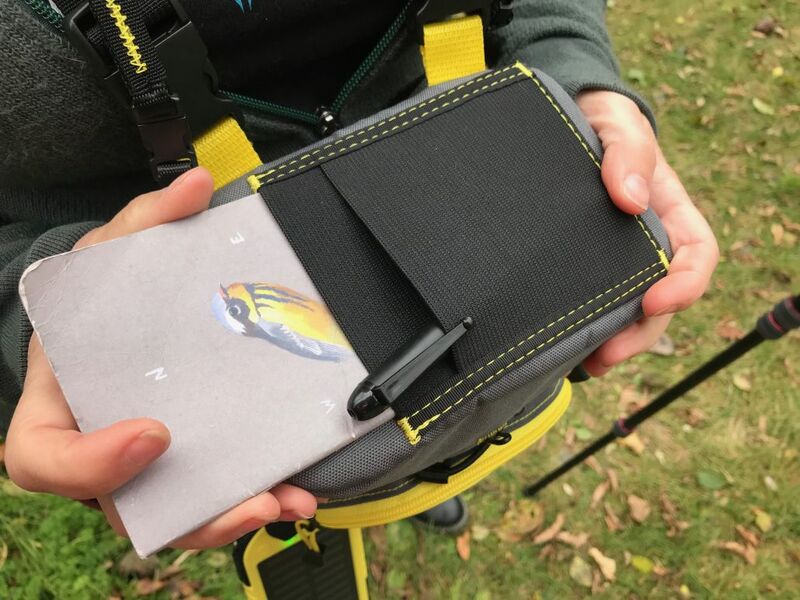 The main pouch in the Chest Pack can hold binos and your smartphone with a Phone Skope adapter. Or two cans of beer. Figure out your priorities accordingly. This is a great little pack for people who lead walks, go birding in wet areas or need a little extra space for their gear. There’s the main pouch for your binoculars and a small guide I could easily slip my phone in the adapter case inside. 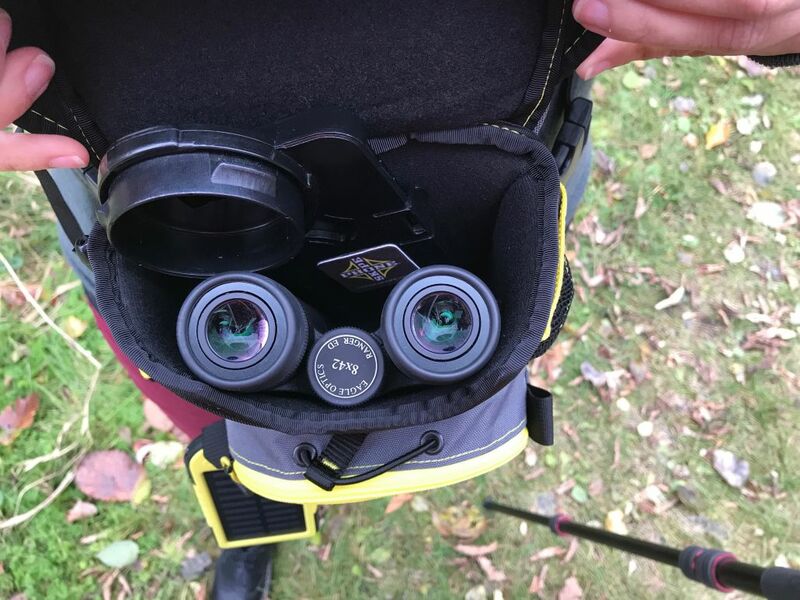 There are even straps to secure your binoculars to the chest pouch harness. The case keeps things dry if it’s raining but opens easily. You can attach your binoculars to the strap if you’re worried about accidentally dropping them. On top of that are several smaller pockets for all the other little sundries you might need. I especially like the top pocket where I can keep a notebook and pen. 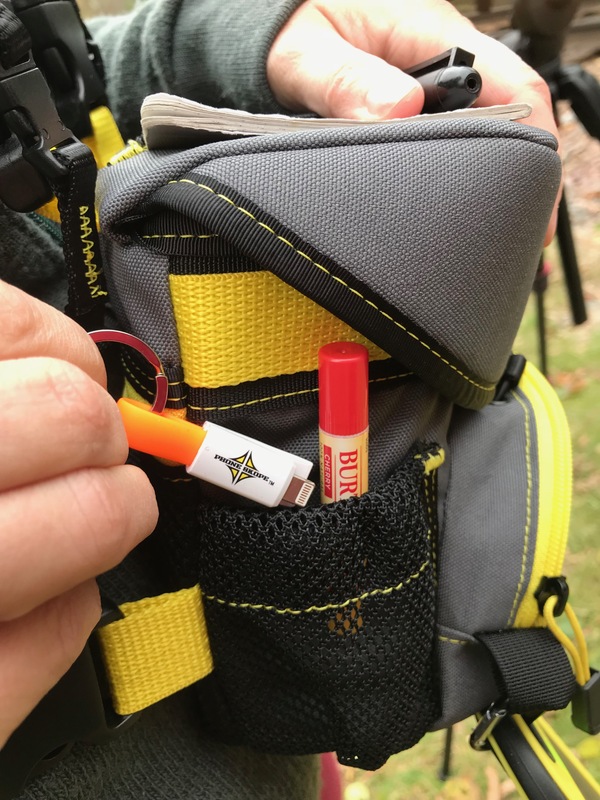 Side pockets can hold smartphone adapters and chapstick. More pockets in the back can hold hand warmers, cash, IDs, and permits. I was even able to clip on my solar powered backup battery to the pouch. Check out that comfy strap. I’m sometimes a bit wary of packs, but this one is surprisingly comfortable. 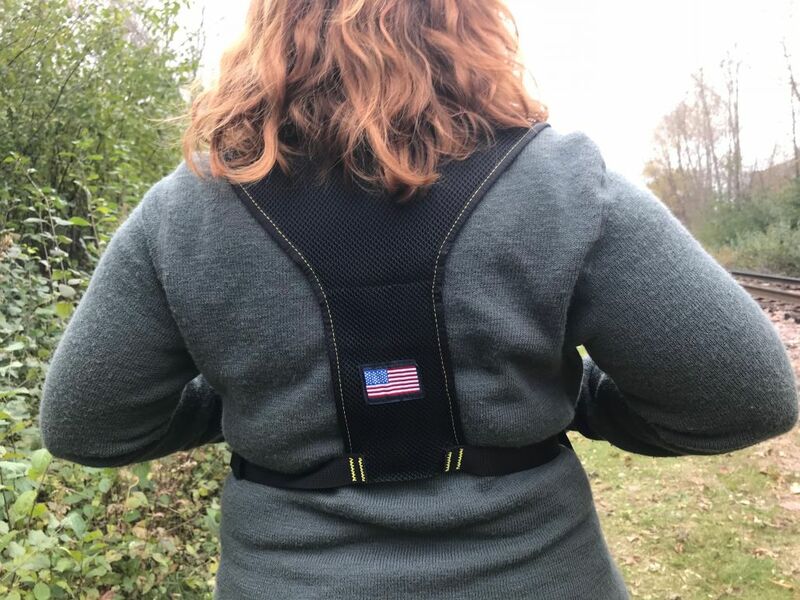 The harness design takes the weight off of your neck, and you don’t notice it after a while. I also like how I have someplace to rest my forearms or keep my optics from getting super dirty if I suddenly to decide to make a run for the border and eat some Taco Bell while birding.